✅ PREMIUM QUALITY & DESIGN: Timeless & Modern product design – Tailored to the individual needs of todays mens beards. The beard brush slides smoothly & effectively over the beard hair & skin and straightens and nurtures these effortlessly. 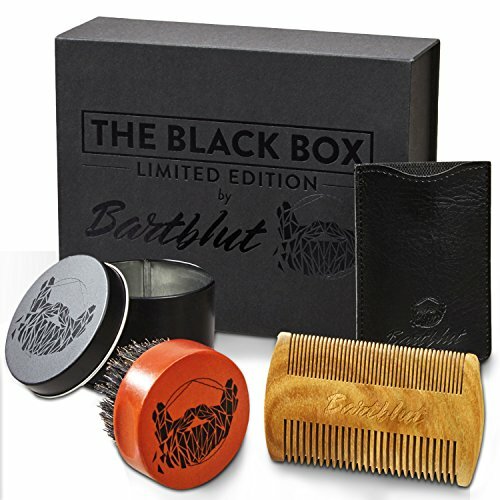 The unique smelling scent of the comb made of sandalwood can be used on the road and as a finish for your beard care. 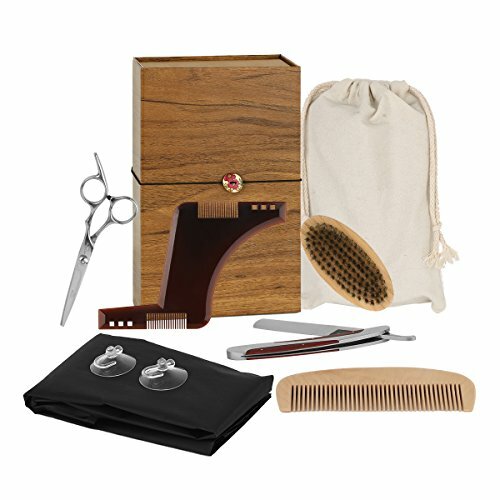 The Beard Care Kit comes with a carry bag & an etui. 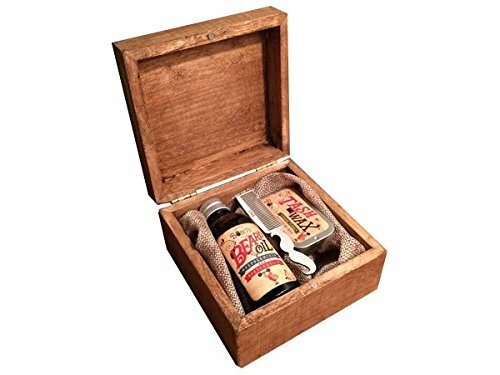 ✅ RESTORING 100% RAW MANLINESS: Beard Men are matured men with high claims. That’s our loyal statement. Push your beard care routine to the next level & experience the feeling of an incarnation of your beard – An expression of 100% PURE MANILINESS. The Zeitgeist always one step ahead! ✅ INSTANT INCREASE OF ATTRACTION: Cultivated & clean beard hair in less than a minute for a smooth & gentle beard feeling that you don’t wanna miss anymore. Visible results after the first use. Let your beard shine – for best results in combination with beard oil, wax or balm. Your wife, women & girlfriends will love it. You too! 100% BOAR BRISTLE BEARD BRUSH – Made from Pear Wood. 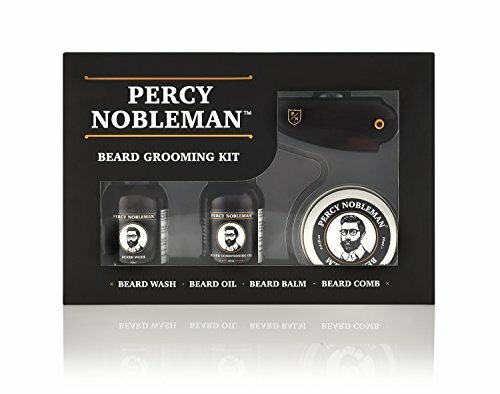 Use with beard oils, balms, waxes and conditioners. 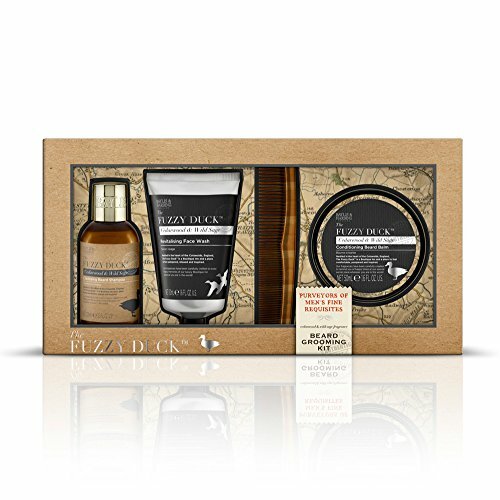 Gives you a relaxing massage whilst ensuring any beard care oils are evenly distributed. Provides an anti-static pull free styling. 100% NATURAL WOOD COMB – Made from grass tree. INNOVATIVE DESIGN AND VERSATILE – Can be used on any facial hair; long, short, thick or coarse. The irregular length bristles slide effortlessly through your beard leaving a perfectly groomed finish. 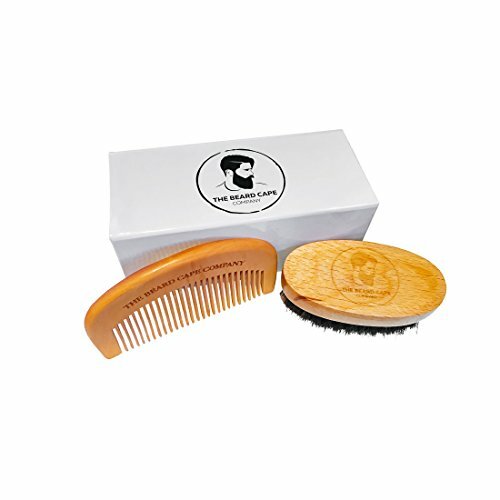 ✔ Natural Sandalwood Comb – Sandalwood is anti-static, fine & coarse tooth are suitable for all hair types. ✔ 100% Boar Bristle Beard Brush – Natural bristle brush is designed to stimulate and massage the skin beneath your beard, help distribute oil, removing dirt. ✔ Mustache Scissors – Stainless steel beard scissors is 4.0 inches long, great for travel storage. 100% Wild Boar Bristle Beard Brush: Our natural bristle brush makes whisker care easy and simple, helps dispensing oil, smoothing, styling, shaping, softening and improving hair texture. 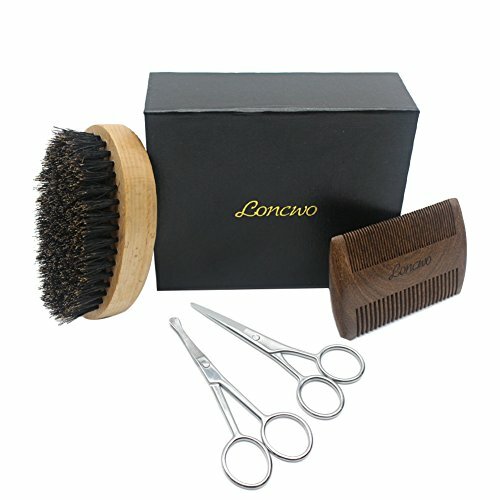 Stainless Scissors and Traditional Manual Razors For styling: Especially for trimming and shaping beards. Rust-resistant, dirt-resistant and corrosion-resistant, also easy to keep clean. 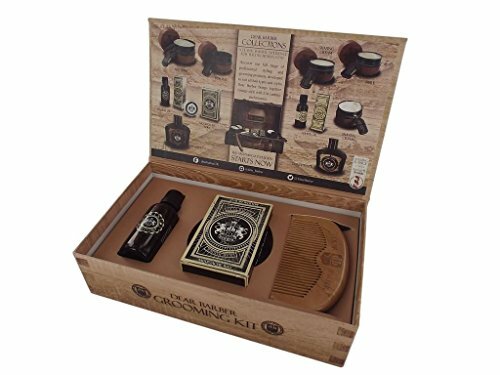 Beard Mask and Beard Bibs: The beard mask helps you to shave, in a few seconds transform your beard with a perfect style. The versatile beard bib prevents beards and hair from falling in the sink. 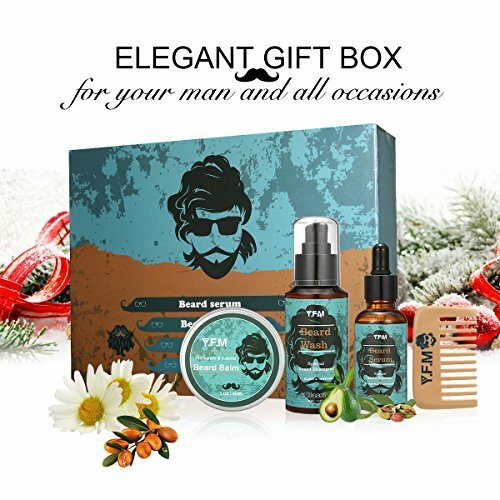 Perfect gift for a bearded loved one! 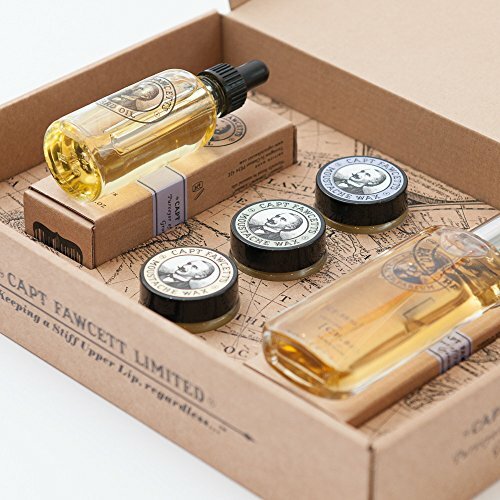 Beard Oil 30ml, Moustache Wax 25ml & Luxury Apricot Wood Beard Comb.